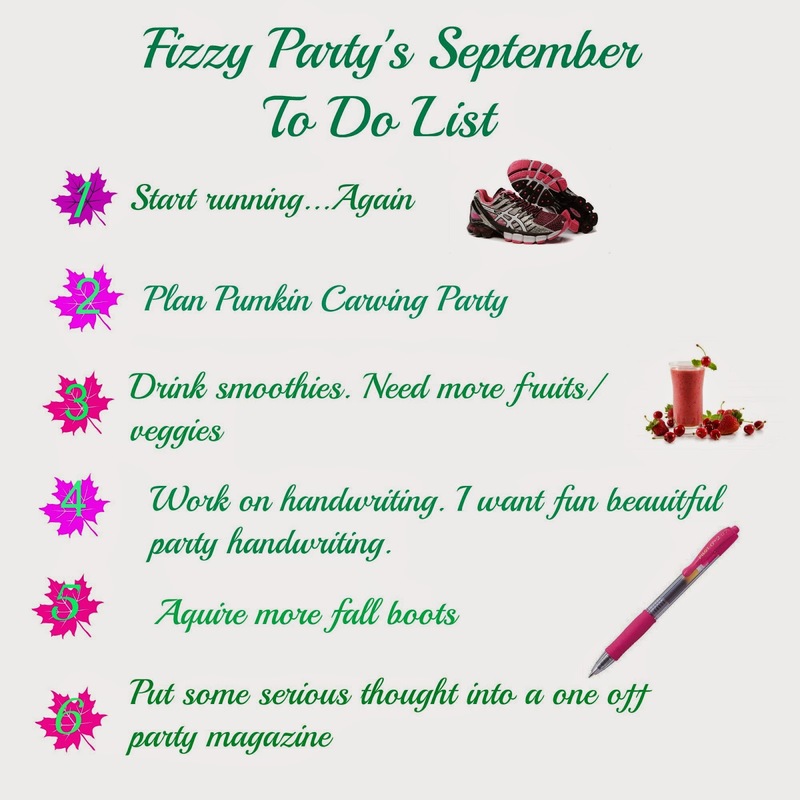 I came across Mrs. Lilien's September to do list on her Twitter and thought, what a great idea! I'm always making daily to do lists but I haven't done a big picture monthly one. Her post says, "Speaking of, what's on your monthly to do list? Indulge me, I insist!" So here it is Mrs. Lilien and Fizzy followers. What's on your September to do list? yay running! Something you can always begin again. I'd love to do a pumpkin carving, but they are heavy and very expensive to get in Alaska. Can't wait to see you photos! Yes. I need to get back into for sure. Sad pumpkins are so expensive to get to Alaska. Carving pumpkins is fun!